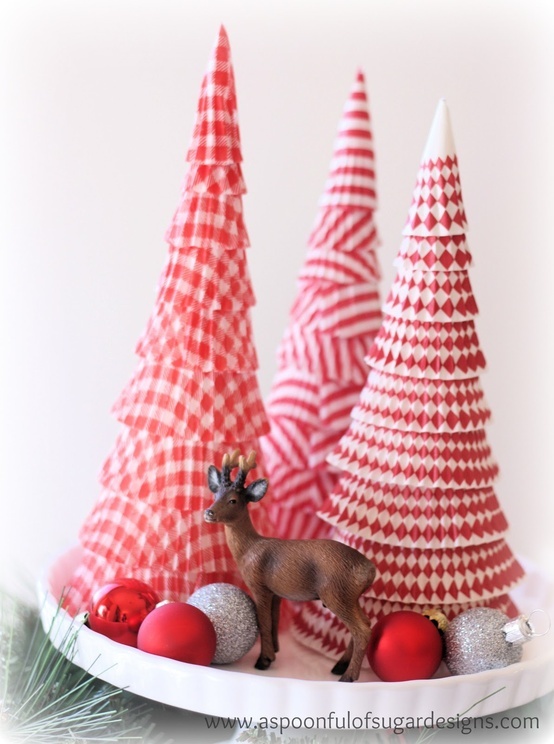 After removing the bases of the cupcake liners, the pleated paper strips are perfect to wrap around a polystyrene cone to from a Christmas tree. With so many Christmas themed patty pans/cupcake liners available, it is fun to make some trees for the Christmas table. Best of all they are really quick to assemble (under an hour to make three trees) and we had all the supplies on hand.